Photos can be easily added from folders by clicking the 'Add Folder' button. This displays a folder browsing window for you to choose the folder of photos you would like to resize with Fotosizer. 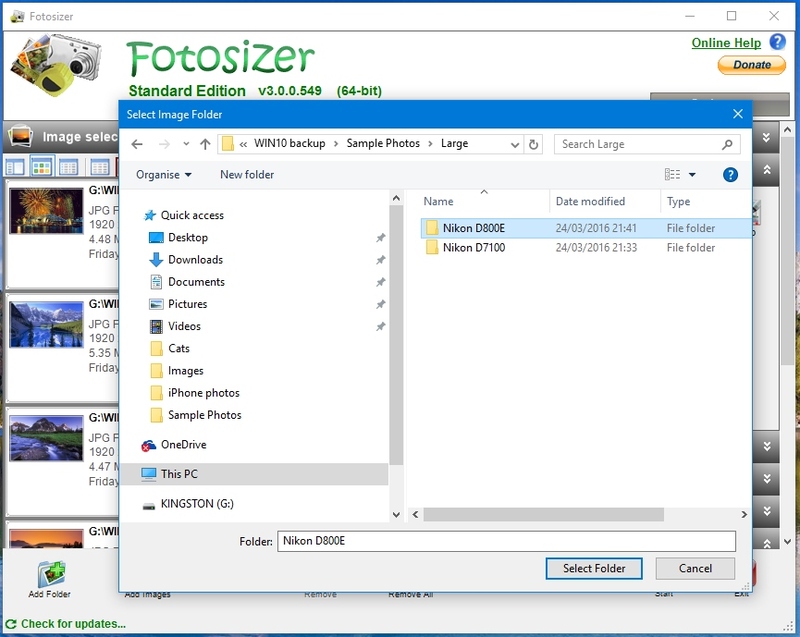 By Default, Fotosizer will only fetch photos from the top level of the folder you choose. Checking the 'Include Sub-folders' option will add photos from all of the sub folders as well.